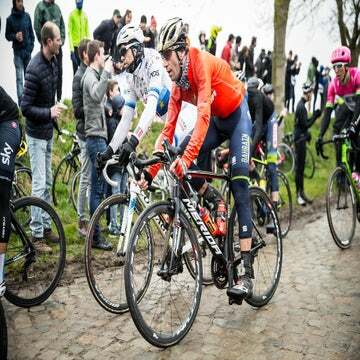 FLORENCE, Italy (VN) — Vincenzo Nibali is planning a 2020 project, with either his current team Bahrain-Merida or Trek-Segafredo, that will guide him through the end of his professional career. The Italian grand tour star and winner of last year’s Milano-Sanremo is with his teammates this week in Spain for a training camp that will launch his 2019 season. The next years, however, are on his mind. A decision to stay with the Middle East team or move to the U.S. team backed by Italian coffee giant Segafredo is expected soon. Nibali is considering a switch to the U.S. squad after a serious push by general manager Luca Guercilena and Segafredo boss Massimo Zanetti. Already, the team courted him at the end of the 2016 season before he moved from Astana to help start Bahrain-Merida. Now with Nibali’s three-year deal up for renewal, parties are talking. The 34-year-old Sicilian wants to plan the next two years of his career, which could be his last in the peloton. 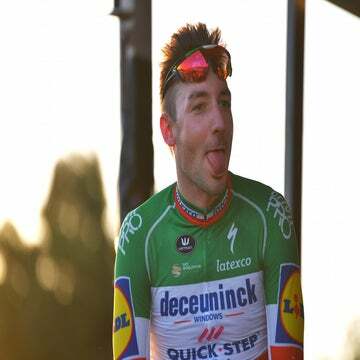 He has won all three grand tours – the 2014 Tour de France, the Giro d’Italia in 2013 and 2016, and the 2010 Vuelta a España. He counts two victories in Il Lombardia and an amazing Milano-Sanremo solo win last spring. He wants to continue through the 2020 Olympics and world championships and the 2021 season at a high level. News from the Nibali camp is that “Trek-Segafredo made a good offer” to get Nibali in its roster for 2020 and 2021 and as an ambassador with Trek bicycles and Segafredo after retirement. Currently, the team is starting the 2019 season at the Santos Tour Down Under with new Australian hire Richie Porte. “It’s not like one team is offering two million and the other 10 million euro, but it’s that Trek-Segafredo is offering a future as an ambassador,” continued Carera. 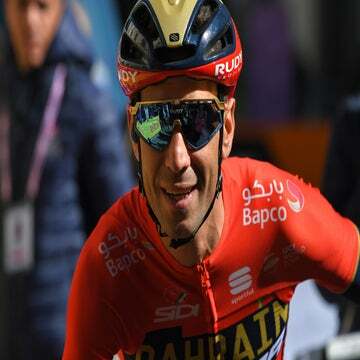 Nibali helped get Bahrain-Merida off the ground after a chance ride with Prince Nasser Bin Hamad Al Khalifa on his Bahrain island in the Persian Gulf. The prince and several major Bahraini companies back the WorldTour team. This season, British motorsport giant McLaren joined as a 50 percent partner. That deal delayed Nibali’s contract renewal talks. Last week, Nibali and Carera met with Bahrain-Merida general manager Brent Copeland and managing director Milan Erzen. Copeland is currently talking to Prince Nasser and McLaren about Nibali’s request for a two-year deal through 2021. “We haven’t discussed an ambassador or post-retirement deal in detail,” Copeland said. “I know Trek-Segafredo is offering it. They can gain from it, they are a bike brand, and Segafredo is Italian. Nibali is due to speak with the team by the end of January and meet to discuss a new contract in the first weeks of February. His 2019 season starts at the inaugural UAE Tour, which kicks off Feb. 24. He is targeting the Giro and Tour this year.